Anyway, my luck turned and weather cooled off something, I managed to find some place for drying, and what a RELIEF it was to get them done. I’ve almost felt like a classical accomplished woman a la Jane Austen. This cowl was started originally as a scarf, but I didn’t like the look of it, and sewed up the ends. Much better! It was crocheted lengthwise, in simple shells pattern, yarn is variegated Regia 4-ply, I used almost exactly 2 balls! Another sock yarn creation, a simple vest for my little guy (now 1,5 years), knitted bottom-up in the round in 3x1 rib, and then finished separately. I knitted a similar one for him when he started crawling, and it proved the most useful item in his wardrobe. 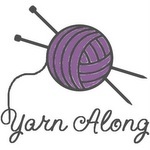 It’s easy to wash, variegation of the yarn is very forgiving to stains and it’s warm without being heavy! Besides, washing it in shampoo (if it’s good for the hair, it should be good for the wool, right?) made it very soft and not scratchy at all. What else can a mother want except one more vest? And just a pile of hand knit socks. The last ones are for my boy :) These socks were my knittotherapy – I was working on them when all around me were boxes and piles of stuff to be sorted out and either packed or thrown away in preparation for the move. I had several WIPs on my hands, but simply couldn’t face anything more complicated that stockinette, and that in small portions. I managed to challenge myself on a small scale, though – every pair of socks is somehow different. One has a short row heel (not my favourite, and I haven’t mastered it really yet), others don’t sport any fancy stitches, but I did throw in some knit/purl playing around. They turned out nice, if I say so myself! And how long do YOU let your project sit unfinished? ooh well done! your fo's are looking fab! i think i actually need to sift through and list up all of my wip's. just when i think i've got all of them nearly done, i uncover more!! Thank you! Sometimes in the process I forget that I was after teh result :)))) Good luck with your FO's!! !